Don't wait for a special occasion to shop for rates. It doesn't cost you anything to apply and the process is simple. We represent a variety of different life carriers in order to meet the specific & individual needs of today's clients. We have many types of policies from Whole Life Insurance to Term Life Insurance to Universal Life Insurance. Most every insurance requires medical exams while there are some that don't. We even have Final Expense policies for those who might not qualify for a Term Life Insurance Policy, or for those that need a Guaranteed Issue. Most all policies fall into one of two categories. These can include term life insurance (pure insurance protection) and many variants of whole life insurance which combine an investment product with pure term and build cash value. For a vast majority of middle class Americans who do not have life insurance policies or for those paying expensive premiums in whole life, it makes more sense to keep our investments and your insurance separate. Term Life Insurance is a great fit for this vast majority. Whole life policies can be expensive, as policies with an investment component can cost many times more than term policies. As a result, many people who buy whole life often can't afford an adequate amount or level of protection, leaving their families unprotected from financial loss. There are many additional ‘riders’ which can also be attached to Term Life Insurance policies, including Accidental Death Benefits, or Waiver of Premium. Another great rider is a Return of Premium where you get your premiums back when you outlive your Term Life policy. The insurance industry constantly produces great new insurance products which can benefit many American families. Contact us and we will be happy to discuss your plan, goals & recommendations. We are here to help you match the term of your policy to your needs. By preparing in advance, you'll have the peace of mind that comes from knowing you're protecting your family's financial future. And since Life insurance benefits are generally not taxable at the federal level (please consult your attorney, accountant, or tax advisor for legal or tax advice), your loved ones can use the benefits to help take care of their living expenses in a variety of ways. 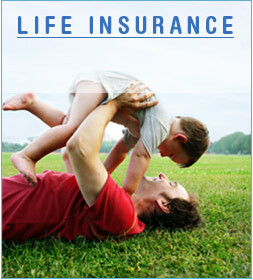 Term life insurance is ususally the most recommended and an excellent choice for a large death benefit with low cost. Term insurance is the least expensive way to purchase a substantial death benefit on a coverage amount per premium dollar basis over a specific period of time. t's pure insurance protection that pays a death benefit if the insured dies during the specified period of time (i.e. the term could be 1,5,10,20,30,40) yrs depending on the policy selected. The insurance protection ceases at the end of the term unless renewed. There is generally no cash value, savings or investment components and is very inexpensive at young ages (substantially less than what a whole life policy would cost). Term to age 65 or 70. Exponentially increasing premiums. Policy cannot be renewed beyond the age specified. Decreasing Term - level premiums, decreasing face amount which is typically used for Mortgage Protection. The death benefit is designed to decrease, just as the balance of the mortgage decreases, over time. First-to-die or Joint life term - This type is used in buy-sell agreements, mortgage protection, paying off debt and education expenses. We offer many types of term life insurance products through many different carriers, each with their own strengths.We will be more than happy to discuss this with you once we receive your request. Feel free to contact us at any time for questions and to help you select the RIGHT type of policy for YOU. Whole life insurance is a life insurance policy that remains in force for the insured's whole life and requires (in most cases) premiums to be paid every year into the policy. Whole life insurance typically requires that the owner pay premiums for the life of the policy. There are some arrangements that let the policy be "paid up", which means that no further payments are ever required, in as few as 5 years, or with even a single large premium. The insurance company generally will guarantee that the policy's cash values will increase regardless of the performance of the company or its experience with death claims (again compared to universal life insurance which can increase the costs and decrease the cash values of the policy). Cash value access is tax free up to the point of total premiums paid, and the rest may be accessed tax free in the form of policy loans. If the policy lapses, taxes would be due on outstanding loans. If the insured dies, death benefit is reduced by the amount of any outstanding loan balance.